Varanasi/Kashi is one of the oldest surviving cities of the world estimated to be around 3500 years old.Kashi is known for the famous Vishwanath temple, one of the twelve Jyotirlingas, the holiest of Shiva temples. 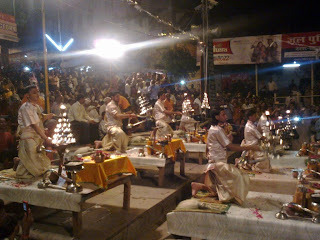 This Jyotirlinga has a very unique significance in the spiritual history of India. 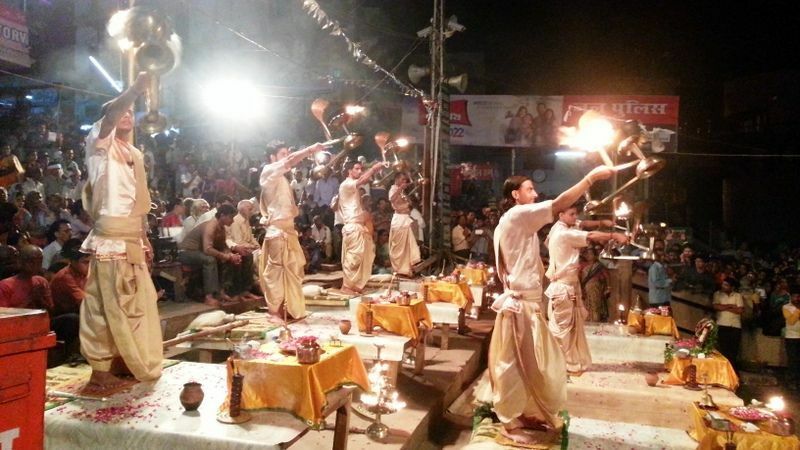 Tradition has it that the merits earned by the darshan of other jyotirlingas scattered in various parts of India accrue to devotee by a single visit to Kashi Vishwanath Temple. 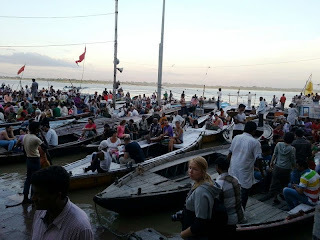 I feel blessed to have visited this historic city and to have darshana of Jyotirlinga and the spectacular Ganga arati. As no electronic gadget is allowed inside the temple, i could not capture any photos of the temple. 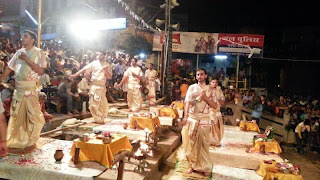 One would not like to miss Ganga arati after Vishwanath darshan. We reached the spot well in advance to reserve our seats. 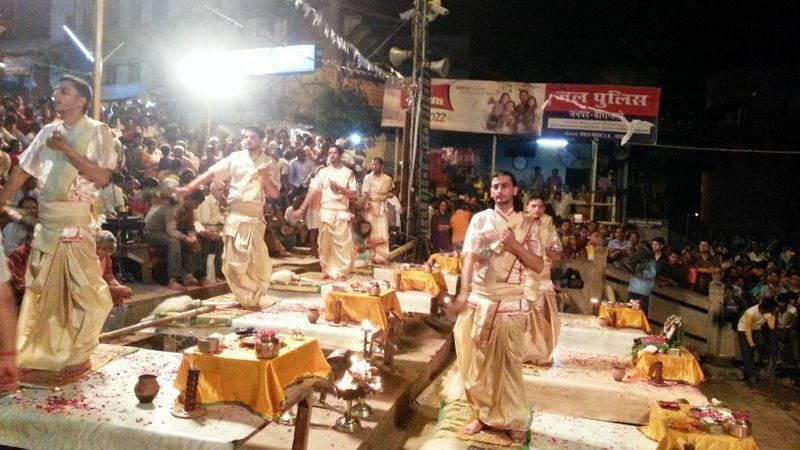 It is really spectacular to watch arati performed by students of Vedas and Upanishads for about 45 minutes and also of boats filled with eager foreigners to catch a glimpse of this worship of Ganga.